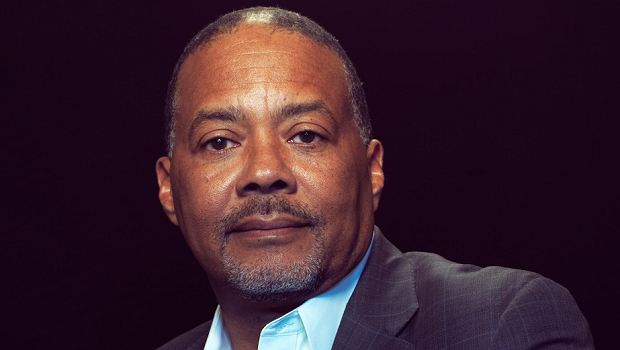 The Center for Data Innovation spoke with Ralph Clark, CEO of ShotSpotter, a gunshot detection technology company based in Houston, Texas. Clark discussed how ShotSpotter differentiates between gunshots and other noises as well as how accurate data about urban gunfire can help improve the relationship between police and underserved communities. Joshua New: ShotSpotter relies on networks of acoustic sensors dispersed throughout a city to identify and report gunshots. This seems straightforward, but differentiating gunshots from other sounds and pinpointing their locations is no easy task. Can you explain how this works? Ralph Clark: Technically, the sensors don’t really understand a gunshot per se. They’re designed to ignore ambient noise so they can detect and timestamp impulsive noise: pops, booms, and bangs. When three or more sensors detect an impulsive noise, because they’re located in different areas, they will detect that sound at slightly different times. That data gets sent to the brains of the system which tries to figure out whether it can mathematically triangulate the exact location or origin of that impulsive noise based on these time differentials. It takes a minimum of three sensors for this to work, but often times we see six, seven, or eight sensors picking up the same incident. At this point we don’t know if we have a gunshot yet but once we can establish there was an incident, we can start with the heavy lifting of classifying this sound to determine if it was a gunshot or not. We have a set of machine learning algorithms that have been improved on over the years as we detect all these various incidents that make a first pass to filter out incidents that were obviously not gunshots. Then everything we have left gets presented to a second classification step, which is human review. We have acoustic experts in our Incident Review Center who look at and listen to these events in real time and make the final determination of whether or not there was a gunshot. This whole process takes place within 30 to 45 seconds after a trigger is pulled. New: Gun violence is traditionally measured by police and hospital reports about shootings, however ShotSpotter can measure the actual number of shootings in a city. Can you explain why this data is valuable? Clark: This hits on a very important point. The first thing someone should understand about urban gun violence is that it happens more frequently than most people realize. We tend to associate gun violence with homicide and gunshot wound victims. But in fact, guns are fired in a criminal way, and in a vicarious victimization way, much more frequently than what results in a physical injury or death. Also, quite interestingly, the rate those events are not reported by residents in communities where these occur is quite high: 80 to 90 percent of gunfire that takes place doesn’t get reported to police. This means police can’t respond and that there is no deterrent, which normalizes violence. And importantly, it increases friction between law enforcement and these at-risk, underserved communities, because it creates the perception that the police are not showing because they don’t care, when in reality they simply just are not aware a gun was fired. New: What kind of impact does ShotSpotter have on a city that deploys it? Is it just faster police response times, or does it drive more significant changes? Clark: The first and foremost thing that we tell police departments is that our system is going to make them aware of a lot more gunfire than they’ve ever been aware of before. Now that we have the ability to know about these incidents in a real time and precise way, police have the opportunity to respond directly to re-establish a deterrent, catch people pulling triggers, and engage the community by showing that they are responding to these events the same way they’d respond to gunshots in more affluent communities where gunshots aren’t normalized. New: Whenever I hear about ShotSpotter in the news, it is usually followed by someone voicing concerns about the privacy implications of having acoustic sensors throughout a city feeding data to the police. Can you explain these concerns? Are they warranted? Clark: First I want to acknowledge that I think these are very important concerns and that residents should be asking these kinds of questions. We’re not afraid of these kind of questions being asked because I think any time you’re dealing with a type of surveillance technology, it’s important to understand the risks and opportunities involved. We applaud that these questions are being asked because it shows that there is an engaged community. We think we have a very cogent answer to these questions and we hope they listen to and evaluate it. Although our sensors do use microphones, because ambient noise is our enemy, we do everything we possibly can to suppress it. We’re only interested in impulsive noises—pops, booms, and bangs—and then we classify them to determine if they were gunshots or not. The only data we’re sending to police departments is that we’ve identified a gunshot. We have a very narrow field of view, if you will, about what we’re surveilling, which are criminal acts. When someone fires a gun in a community, that is a criminal act plain and simple. Our system uses a much lighter touch than almost any kind of video surveillance, which is always on, all the time, observing all manner of activities that have nothing to do with criminal acts. Our system is intelligent enough to only present to police departments incidents that we can say, after years and years of experience, are reasonably likely to be gunshots. We only exist because it is highly inefficient and ineffective to rely on at-risk, underserved communities to report gunfire incidents to the police. For the 10 to 20 percent of the time these incidents actually do get called in, the call comes in three to five minutes after the gunshot actually happens since it takes a while for a 911 call to get routed to the right person in a dispatch center. Then we have someone saying “I think I heard gunshots,” but unless you actually see where a gunshot happens, you can’t give a precise location. If you take into account all the the ways acoustics can distort gunfire and fool the human ear, you simply aren’t going to be able to say where that gunshot happen. This means that when we do get reports, a lot of times it’s because someone sees a body in a street. That’s the value I think we’re contributing here because our aftertaste is very de minimis, if you will, since we’re only interested in impulsive noise so we can present gunshots to police departments. New: Is ShotSpotter only able to detect gunshots outdoors? I imagine this kind of technology would be in high demand in large indoor public places such as malls or schools as well. Clark: The short answer is yes—there are technologies out there that can detect indoor gunshots and we’ve developed technology to do that after being approached several times to do so. It’s important to keep in mind though that mass shooting events that take place indoors are of course very tragic, but also much less frequent than outdoor urban gunfire. Mass shootings get a lot of press coverage and can involve multiple deaths, but if you add up the deaths caused on a daily basis by outdoor gun violence, we have what equates to mass shootings happening in slow motion across entire cities and this just doesn’t get the same kind of attention. When you look at the frequency of shootings that take place indoors, they’re just not happening at the same scale as outdoor shootings, which result in 10,000 to 12,000 deaths per year. The challenge with indoor gunshot detection is that there are more questions about overt surveillance, particularly in places where you want to protect freedom of expression. This is a little bit more challenging tradeoff between risk and reward. With our outdoor systems, we’re putting sensors up 30 feet in the air. But if you’re indoors, like in a classroom, a sensor could hear a lot more kinds of things.